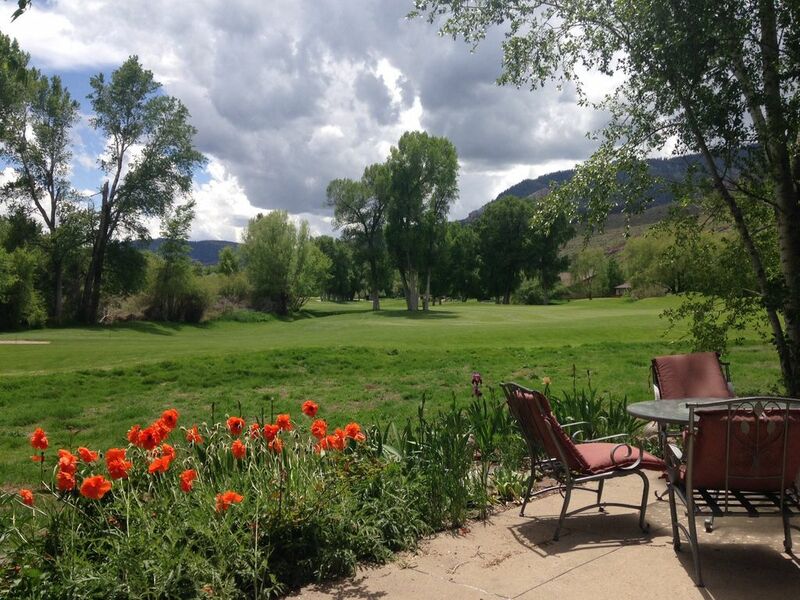 This lovely one level home is overlooking the fourth fairway at the renowned Dalton Ranch Golf Course (open to the public) Magnificent views, surrounded by red cliffs, just 10 minutes from downtown Durango and 20 minutes from Purgatory ski area. Across the street in the subdivision is a large pond where you can enjoy catch and release fishing. This home is located within one mile of the Animas River, Trimble Hot Springs & Spa, as well as many popular hiking/ biking trails. The kitchen has plenty of room for seating. A breakfast bar, a dinette area for six and a formal dining room with seating for eight. The kitchen is also fully equipped. The main living area features a gas fireplace and flat screen satellite TV with DVR as well as a beautiful view of the fair way. You will truly enjoy this family friendly home away from home. Very Nice and great location. Beautiful home right on the golf course. Very private area and quiet. Nicely furnished. Comfortable beds, the kitchen has all necessary utensils and everything we needed. We’d come back to this place in a heartbeat! If you enjoy having a glass of wine in the evening and a cup of coffee in the morning on the patio with an amazing view, this is your home. There were 3 couples who shared this lovely home and it accomiddated us very nicely. The homes is well stocked with all kitchen necessities which is a treat. You also have a lovely market less than a mile away for picking up some wine or wonderful steaks,seafood,or fresh baked bread. We love cycling and this is the perfect location to start your ride from. Thanks so much for sharing this lovey home with us! We had 31 family members at Dalton Ranch for a family reunion. Our group rented four houses through VRBO . The group came from Portland, OR, Olympia WA, Houston and Ft. Worth TX and Santa Rosa, Long Beach and Murrieta CA. Some drove all the way and some flew into Albuquerque and drove from there. It was a good meeting location. Our house was perfect for the occasion. We housed two of the senior couples and hosted two of the evening dinner functions. Between the deck, and the living room we were able to easily handle the group. In addition to the party function, the everyday living at the house was very nice. The kitchen was well supplied for meal preparation and we enjoyed watching the golfers go by. Overall, the house was very comfortable. We enjoyed ourselves so much!! This was such a great place for us. We enjoyed morning coffee and evening cocktails on the back patio. Definitely could see us staying here again.. great location close to Durango for our train ride and great food and short drive to silverton to hit the Jeep trails. This place had everything we needed!